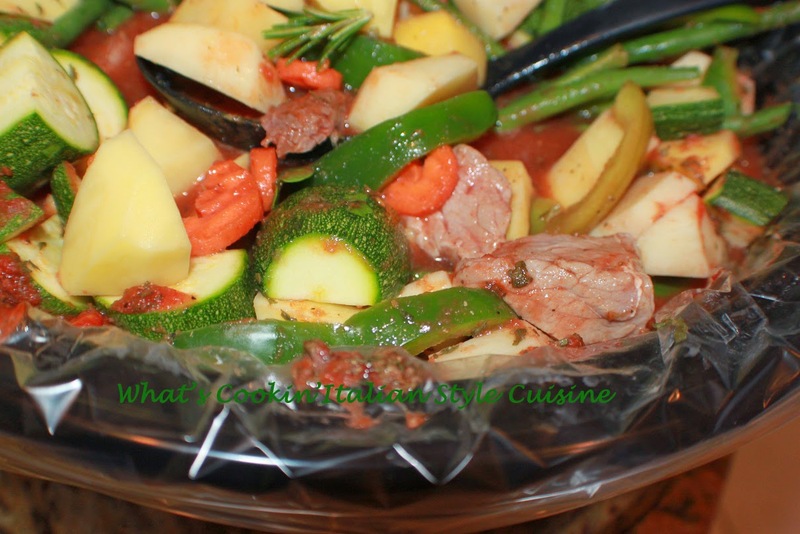 Here is another one of those big pots of stew bursting with amazing flavor! Guess what you can adapt this to any way your family likes when it comes to ingredients. This one is full of vegetables, fresh. Green beans, carrots, peppers, zucchini, potatoes. Of course you can add many other delicious vegetables along with just the few I named and I am going to list those suggestions below so continue to read on. Oh and of course for you meat lovers, there are suggestions for you too! Optional additions: mushrooms, peas, garbanzo beans, 3 cups of cubed chicken, Italian slices of sausage, london broil cubed, boneless pork tenderloin cubed or lamb cubed then proceed the same with the vegetables you choose. 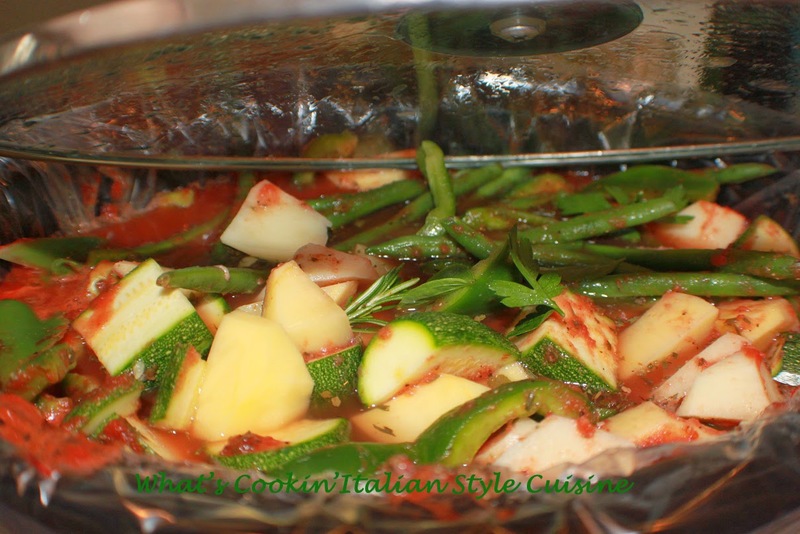 In a large crockpot or saucepan around 5 quarts, add 4 tablespoons olive oil, peppers and garlic on the bottom. Add the sauce and all the vegetables you are using. If using meat, add raw meat next. Add the sauce and wine, water, herbs and spices. Slow cook for 8 to 10 hours in the crockpot or on stove top 2 hours on low. Serve with thick crusty Italian Ciabatta bread to sop up the sauce.